This Agreement was last modified on January 8, 2019. We will endeavour to adhere to stipulated delivery deadlines. However, due to the custom nature of the specific gifts and packaging process, delivery will not be earlier than 24hrs after confirmed order of purchase directly through the website checkout system or express mobile number unless expressly agreed otherwise. Our contractual obligations are subject to our supplier delivering the correct products to us on time. 1.Free Delivery within the CBD .Charges applicable for deliveries out of CDB. Note : The Shapes of the truffles and Pralines Shapes may vary depending on the choice of moulds being preferred by the chocolatier at the time and as such might not appear as exactly displayed on the website.However, if you need exact shapes displayed a pre-order of at least two working days will be required. Replacement of Remote orders ( Out of NAIROBI) Can only be done within 24-48hrs . Ythera will be happy to replace any item(s) in the unlikely event that they might be damaged or spoiled during transit. To make sure that you are satisfied with the product you receive, please inspect the contents as soon as your order arrives. Ythera is not responsible for damage or loss as a result of deliveries being returned to the dispatch location or being undeliverable as a result of incorrect address information you supply to us, or for inability of a recipient to receive the package on the day you specify that it should be delivered. We wish we could assure proper handling and prompt receipt of packages once they have been delivered to the correct address by the third party carrier but this, of course, is out of our control. To enjoy the full flavor and freshness of our products, we urge you to make the necessary arrangements beforehand. If your gift is returned to us because of an incorrect address provided by you, because of its perishability, we must dispose of the contents of the gift and you will not be refunded. Welcome to ythera.co.ke website (the “Site”). These terms and conditions (“Terms and Conditions”) apply to the Site, and all of its divisions, subsidiaries, and affiliate operated Internet sites which reference these Terms and Conditions. By accessing the Site, you confirm your understanding of the Terms and Conditions. If you do not agree to these Terms and Conditions of use, you shall not use this website. The Site reserves the right, to change, modify, add, or remove portions of these Terms and Conditions of use at any time. Changes will be effective when posted on the Site with no other notice provided. Please check these Terms and Conditions of use regularly for updates. Your continued use of the Site followingthe posting of changes to these Terms and Conditions of use constitutes your acceptance of those changes. You are either at least 18 years of age or are accessing the Site under the supervision of a parent or legal guardian.We grant you a non-transferable and revocable license to use the Site, under the Terms and Conditions described, for the purpose of shopping for personal items sold on the Site. Commercial use or use on behalf of any third party is prohibited, except as explicitly permitted by us in advance. Any breach of these Terms and Conditions shall result in the immediate revocation of the license granted in this paragraph without notice to you. Content provided on this site is solely for informational purposes. Certain services and related features that may be made available on the Site may require registration or subscription. Should you choose to register or subscribe for any such services or related features, you agree to provide accurate and current information about yourself, and to promptly update such information if there are any changes. Every user of the Site is solely responsible for keeping passwords and other account identifiers safe and secure. The account owner is entirely responsible for all activities that occur under such password or account. Furthermore, you must notify us of any unauthorized use of your password or account. The Site shall not be responsible or liable, directly or indirectly, in any way for any loss or damage of any kind incurred as a result of, or in connection with, your failure to comply with this section. During the registration process you agree to receive promotional emails from the Site. You can subsequently opt out of receiving such promotional e-mails by clicking on the link at the bottom of any promotional email. In order to avoid any fraud with credit or debit cards, we reserve the right to obtain validation of your payment details before providing you with the product and to verify the personal information you shared with us. This verification can take the shape of an identity, place of residence or banking information check. The absence of an answer following such a demand will automatically cause the cancellation of the order within 1 day.We reserve the right to proceed to direct cancellation of an order for which we suspect a risk of fraudulent use of credit or debit card. We are determined to provide the most accurate pricing information on the Site to our users; however, errors may still occur, such as cases when the price of an item is not displayed correctly on the website. As such, we reserve the right to refuse or cancel any order. In the event that an item is mispriced, we may, at our own discretion, either contact you for instructions or cancel your order and notify you of such cancellation. We shall have the right to refuse or cancel any such orders whether or not the order has been confirmed and your credit card charged. All intellectual property rights, whether registered or unregistered, in the Site, information content on the Site and all the website design, including, but not limited to text, graphics, software, photos, video, music, sound, and their selection and arrangement, and all software compilations, underlying source code and software shall remain our property. The entire contents of the Site also are protected by copyright as a collective work under Kenyan copyright laws and international conventions. All rights are reserved. In addition to any other legal or equitable remedies, we may, without prior notice to you, immediately terminate the Terms and Conditions or revoke any or all of your rights granted under the Terms and Conditions. Upon any termination of this Agreement, you shall immediately cease all access to and use of the Site and we shall, in addition to any other legal or equitable remedies, immediately revoke all password(s) and account identification issued to you and deny your access to and use of this Site in whole or in part. Any termination of this agreement shall not affect the respective rights and obligations (including without limitation, payment obligations) of the parties arising before the date of termination. You furthermore agree that the Site shall not be liable to you or to any other person as a result of any such suspension or termination. If you are dissatisfied with the Site or with any terms, conditions, rules, policies or guidelines your sole and exclusive remedy is to discontinue using the Site. The Site and its original content, features and functionality are owned by Ythera Gifts Ltd and are protected by Kenyan copyright laws and international convention, trademark, patent, trade secret and other intellectual property or proprietary rights laws. 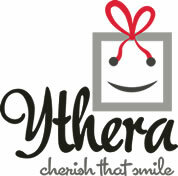 Our Site may contain links to third-party sites that are not owned or controlled by Ythera Gifts Ltd.